*You can only play at Ikibu when you are 18 years or older. T&C Apply for UK Players Ikibu is a relatively new online casino that was launched in the year 2016. The casino is based on a white-label running on the MT SecureTrade Platform which seems to run very smoothly. Ikibu is licensed by ..
Ikibu is a relatively new online casino that was launched in the year 2016. The casino is based on a white-label running on the MT SecureTrade Platform which seems to run very smoothly. 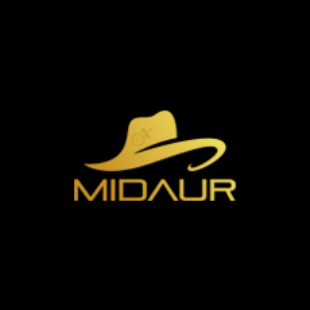 Ikibu is licensed by the MGA and the UK Gambling Commission. Because of this you are ensured Ikibu meets many important quality standards. At Ikibu you will find a lot of popular slot titles offered by all major game providers including NetEnt, Quickspin, Microgaming, Red Tiger Gaming, Yggdrasil and Play'n GO. Besides that the casino is home to multiple Evolution Gaming live dealer games, table games, jackpot games and instant win games. Ikibu Casino has a strong focus on delivering a unique experience. They do this by offering players an exciting casino journey. 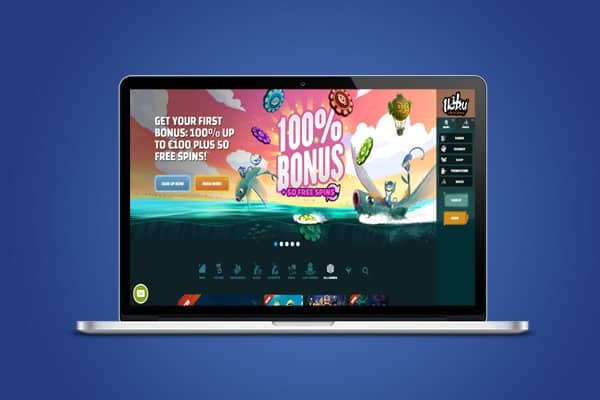 This gamification element makes Ikibu definitely a different online casino than most others. While playing you can gain experience, travel from village to village and claim rewards in the Shop by trading seeds for Free Spins. Ready to try out this amazing online casino? Then sign up your free account today and collect a 100% deposit bonus (€100,-) + 50 Free Spins! Register your free account on this page! While opening Ikibu Casino for the first time you will notice the website looks really nice. Ikibu uses a lot of exciting visuals in order to create a fun environment where you can relax and enjoy top quality casino games. In this fun environment Ikibu Casino offers a wide range of casino games. In total the game portfolio holds over 800 exciting games. Ikibu offers video slot games by almost all major game providers including NetEnt, Quickspin, Microgaming, Yggdrasil, WMS (Williams), Big Time Gaming, Red Tiger Gaming, NextGen Gaming, Elk Studios, Play'n Go and Betsoft. Although this isn’t the biggest game portfolio online we think Ikibu offers a solid range of games for most players. Besides video slots Ikibu also offers multiple jackpot games and table games. 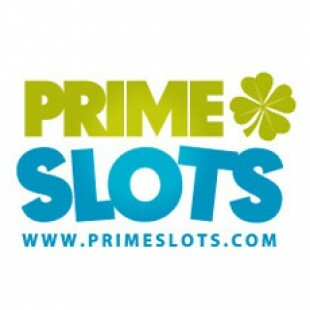 The portfolio jackpot slot offers all popular progressive games including Mega Fortune, Mega Moolah, Divine Fortune, the Hall of Gods, Major Millions and Arabian Nights. All these titles are known for delivering top prizes in the millions. Next to these popular titles Ikibu has some more rare jackpot games including Ozwin's Jackpots, Holmes and the Stolen Stones and Gunslinger. Open the game lobby for a full overview of all the (progressive) jackpot games. When you enjoy to play table games then Ikibu might be a bit disappointing. Ikibu does offer some table games but the collection isn’t really special. Although this is the case the casino offers a basic collection of roulette, blackjack and other card games. There are also some variety games available including Video Poker (Jacks or Better), Pai Gow Poker and Red Dog. One very popular part of Ikibu is the Live Casino. In the Ikibu Live Casino you will find live dealer games provided by Evolution Gaming and NetEnt Live. Both these provider offer classic Roulette and Blackjack games. Besides that Evolution Gaming offer some variety games. Enjoy top live games in HD quality, professional and trained dealers, streamed from high quality studios or from the best land based casinos (Dragonara Casino). And this is all possible from the comfort of your own home. Curious about the complete game portfolio? Well, Ikibu offers multiple Roulette games including a Immersive Roulette, Speed Roulette, Auto Roulette, American Roulette, VIP Roulette, Double Ball Roulette and French Roulette. 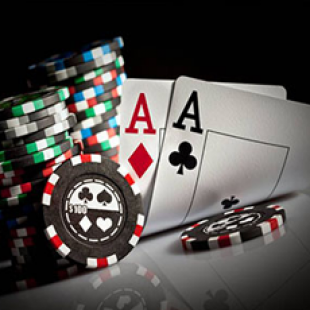 Looking at the Blackjack games Ikibu offers a high roller, normal and low roller game type. 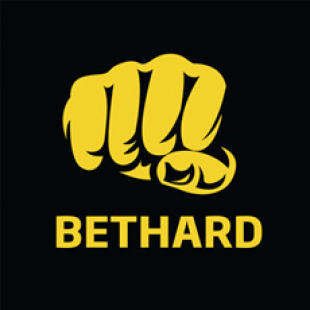 Depending on the type you choose you will have a certain minimum bet per round. In the Live Casino you will also find some variety games including Baccarat (Speed / Squeeze), Casino Hold'em, Caribbean Stud Poker and Three Card Poker. At Ikibu you will not find the popular Dream Catcher game which is provided by Evolution Gaming. At Ikibu Casino they are aware of the fact that a lot of people like to gamble from their smartphone or tablet. To ensure everyone enjoys a perfect gambling experience Ikibu has fully optimized their website for mobile use. In order to use this site you won’t have to download any software or a special app. Simply browse to the regular Ikibu URL and the website while be optimized for the dimensions of your screen. Not only the casino is optimized for mobile use, most games are also perfect to play on mobile devices. At the moment you will find hundreds of the best slot games in Ikibu’s mobile casino. Besides that the live casino is also available for mobile players. Curious how good the casino works on your device? Then open the website using this link! At Ikibu Casino you will enjoy a unique casino journey while playing. Simply play your favourite games in order to gain experience. You can use this experience to travel from village to village. Your journey will start in ''Kun Islet'' in Sector 1 (West Coast) but it will take you to lots of other villages and sectors. Each sector will offer its own theme and village. For example; After the West Coast you will travel to the Golden Waves Sector and the Big Bog Sector. The second and third sectors will offer you a new part of the story and a new map and structures. 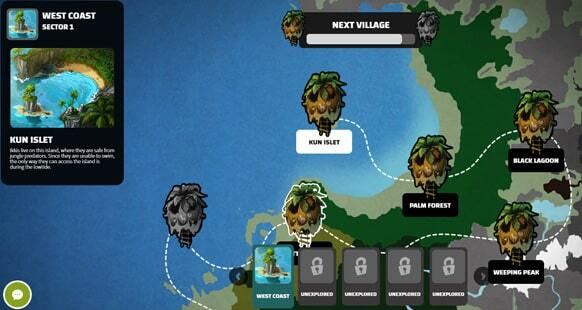 While travelling you will also be able to collect seeds at each village you visit. You can use these seeds in order to buy rewards in the Shop. Each village you visit will also unlock a new game in the shop. So the further you travel, the wider the variety of games you can buy Free Spins on. For example, we moved from village 4 to village 5 and got access to the island Battlemoon and the Dazzle Me video slot in the Ikibu Shop! At Battlemoon Island we also found 323 Seeds, which we used to buy free spins in the shop. Depending on the minimum cost per spin you can buy free spins from a low as 1000 seeds per time. The more seeds you trade, the more spins you will get! You can also increase the bet level in order to buy free spins that are more interesting to play. On top of the unique casino journey Ikibu offers a nice extra feature. During daily, weekly and monthly Ikibu Race you can win extra seeds by competing with other players. In order to join a race you will need to pay a small fee. This fee is somewhere between 150 - 250 seeds most of the times. After joining a race you can earn points by playing your favourite games. The more wins you enjoy, the higher you place will be on the leader board. When the Race ends you will win a Seed prize depending on your rank. Some weekly Races offer up to 30.000 Seeds for the winner. This is very interesting since you can trade these Seeds for a lot of Free Spins! Want to learn more about these Races? Then open the Ikibu website! As a new customer you can claim a generous welcome offer at Ikibu Casino. This welcome offer contains two different bonuses. The first bonus is available during your first deposit in the casino. The other bonus is available while reloading your account with some new cash. Below I will explain how both bonuses work. During your first deposit you will be able to collect a 100% deposit bonus. This bonus has a maximum value of €100,-. Deposit at least €10,- in order to activate this bonus. Simply make a deposit today and Ikibu will double your balance. For example; When you make a €25,- deposit, Ikibu will add a €25,- bonus to your account. Because of this you will be able to play with a €50,- total balance. On top of the bonus you will also be rewarded with 2500 Seeds. You can exchange these Seeds for 50 Free Spins on Starburst. All winnings you enjoy during these 50 Free Spins will be added to your balance. You can use this balance on other games in the casino. Click this link to open the Ikibu website and sign up your free account! After playing with your first bonus you will be able to reload your account with a second bonus. This second bonus offers you a 50% money bonus on top of your deposit. For example; When you make a €100,- deposit, Ikibu will add a €50,- bonus to your account. 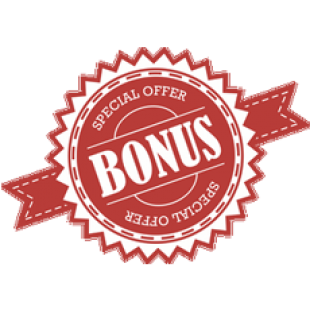 This bonus also has a maximum value of €100,-. You can receive this bonus by making a €200,- deposit in the casino. On top of this second deposit bonus you will again receive 2500 Seeds. You can use these Seeds to buy Free Spins on Starburst or any new games you have unlocked since starting playing. If you like you can also keep the Seeds in your account and use them later. The more Seeds you collect the more spins or the better spins you can buy! After collecting your welcome bonuses Ikibu will offer you more promotions. With these promotions you can collect more bonuses, seeds and Free Spins. Two of the current promotions are ''Monday Champions'' and ''Wild Wednesdays''. With the first promotion some players will be able travel to a special place in Ikibu's world. In this special place all players will earn more seeds than normal. For example; You will receive up to 3000 extra seeds while level up. During each Wednesday you can earn more Seeds by depositing. Simply make a deposit during ''Wild Wednesdays'' and Ikibu will reward you with 1500 extra seeds. You can use these seeds to buy extra Free Spins in the Ikibu Shop. This promotion is only valid for one deposit per day. On top of these promotions Ikibu sometimes offers special game promotions in the Shop. With these promotions you can get a discount on buy Free Spins on certain games. 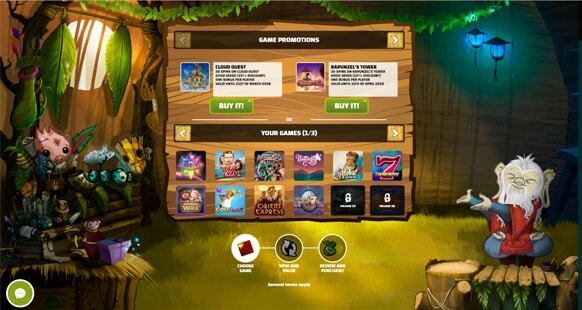 With the current promotion you can get up to 33% discount on Free Spins on Cloud Quest and Rapunzel's Tower. Visit the shop to have a look at the current promotions. While collecting your bonuses you will need to mind some wagering requirements and bonus terms and conditions. On the promotions page you will find the most important conditions but the complete bonus terms are pretty hard to find. This can be annoying since some people maybe want to read them before deciding if they want to collect the bonuses. We think this should be improved and more transparent. At the moment you can trigger bonuses by depositing at least €10,-. All bonuses and seeds will be credited to your account automatically. Ikibu's bonuses are subject to a 30 times wagering requirement (deposit + bonus). For example; When you make a €30,- first deposit, you will need to wager €30,- + €30,- = €60,- x 30 = €1800,-. After wagering this amount the bonus funds will be transferred to your real money balance. This balance will be available to withdrawal. At Ikibu you will find a wide variety of payment options while making a deposit. All preferred options including PaySafe, iDeal, Mastercard, Neteller, VISA and Skrill are available. At the moment you can deposit from as low as €10,- per transaction. Ikibu doesn’t charge fees while making a deposit. If you want to withdraw money from your account you can do this to e-Wallets, Bank Transfer and Credit / Debit Cards. Most e-Wallets offer the fastest withdrawals (within 24 hours). The other options can take up to 72 hours. Ikibu currently works with a withdrawal limit of €10.000,- per week. Check out the banking section for more information regarding this subject. We think security is one of the most important things at an online casino. Because of this, we always review the security at an online casino. At the moment Ikibu Casino has implemented a very safe SSL connection. Because of this all personal information and payments are safe and secure. Besides that Ikibu protects customers by giving the option to freeze their account, to do a reality check and to set up session and deposit limits. In this way the casino protects customers from high unwanted losses. For more information about security and fairness, please visit the website of Ikibu. Are you in need of help? Then click on ‘’Help’’ in the footer of the website. After clicking this link you will enter the help centre. In the help centre you will find an F.A.Q. and a contact form. The F.A.Q. section is very extensive which is great in our opinion. There is no phone number available, which must be improved in our opinion. Besides the F.A.Q. and contact form you can also use the live chat by clicking the green help button in the bottom right. The live chat is available between 09:00 and 24:00. Which is good, but this should be 24/7. Regular questions can also be send to contact@ikibu.com. The support department aims to answer your message as fast as possible. In this Ikibu Review we have found some great things and a few things that could be improved. Some things we liked? The casino works instant, has a nice game portfolio and runs perfect on any device (iOS or Android). Because of this you will be able to play at any moment, from any place. Besides that the Ikibu website is safe, looks modern and is very easy to use. On top of that the unique casino journey experience at Ikibu is a huge benefit. This make this online casino really special and stand out from the rest. Things we think could me improved? Adding a telephone line to the support options could be a nice improvement. Besides that the live chat should be available around the clock (24/7). It’s now only available between 09:00 and 24:00. Last but not least the amount of restricted countries is a bit long. Which can be a disappointment for a lot of gamblers. All with all we rate Ikibu very high and we think the unique journey will be great fun for many players. Because of this we would really recommend Ikibu to all players that are looking for a nice exciting and reliable online casino! Make a first deposit at Ikibu today and collect a 100% deposit bonus up to €100,- plus 50 Free Spins! Make a second deposit in order to collect another 50% bonus up to €100,- plus 50 more Free Spins! Ikibu Casino is home to an impressive collection of video slot games.  All major providers are represented including NetEnt, Microgaming and Quickspin. On top of the portfolio of slots Ikibu offers multiple table games and live dealer games. Especially the range of live dealer games by NetEnt Live and Evolution Gaming is pretty interesting. Beautfull designed and user friendly! Evolution Gaming Live Casino available. Hidden bonus terms and conditions. While writing this Ikibu Review we have looked up many different sources. Besides that we have direct contact with the Ikibu marketing team. Of course we also tried out the casino by depositing some money. All with all we think the player experience at Ikibu is one of the very best. We didn’t won much but the journey from Island to Island was great. After our money was gone we bought some free spins using our collected seeds. Because of this we could play some games again. All with all we really had fun at this online casino. Although we write our reviews with much care it is possible that some information is outdated or untrue. If so, please contact us through our contact form. At Ikibu it is possible to choose one of the following currencies; Australian dollars, Canadian dollars, Euros, British pounds sterling, Norwegian kroner, Swedish kronor or US dollars. Do you want to withdrawal some of your winnings? At the moment you can withdrawal money using Bank Wire Transfer, Neteller, Paysafe Card,Visa, Euteller, Skrill, Trustly and Zimpler. Do you want to deposit some money? At the moment you can deposit money using EcoPayz, Maestro, MasterCard, Neteller, Paysafe Card, Visa, Sofortuberwaisung, Euteller, Trustly, Skrill or Zimpler. Ikibu Casino is available in English (GB/EN/CA), Swedish, Finnish, Norwegian and German. You can switch the main language in the footer of the website. Players from some countries will not be excepted at Ikibu Casino. France, the USA, Spain. Belgium and Portugal are included in this list. The full list contains the following countries; Afghanistan, American Samoa, Belgium, Bulgaria, Denmark, Estonia, Ethiopia, France, Germany, Guam, Hong Kong, India, Iran, Iraq, Ireland, Israel, Italy, Jordan, Kuwait, Marshall Islands, Nigeria, Northern Mariana Islands, Pakistan, Philippines, Portugal, Puerto Rico, Romania, Singapore, South Africa, Spain, Syria, Turkey, U.S. Virgin Islands, United States and Yemen. The amount of restricted countries is very large in our opinion. Which is not very good. This casino has an license provided by the Malta Gaming Authority and the UK Gambling Commission. I really like this casino and would recommend it to everyone. The website looks nice and the amount of games is great. I also like the races and the gamification experience. Don’t really like the large amount of email which are hard to unsubscribe from.